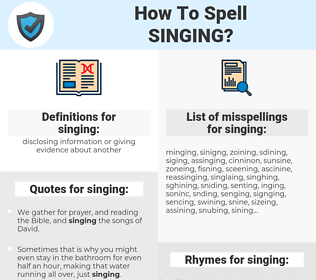 What are the misspellings for singing? 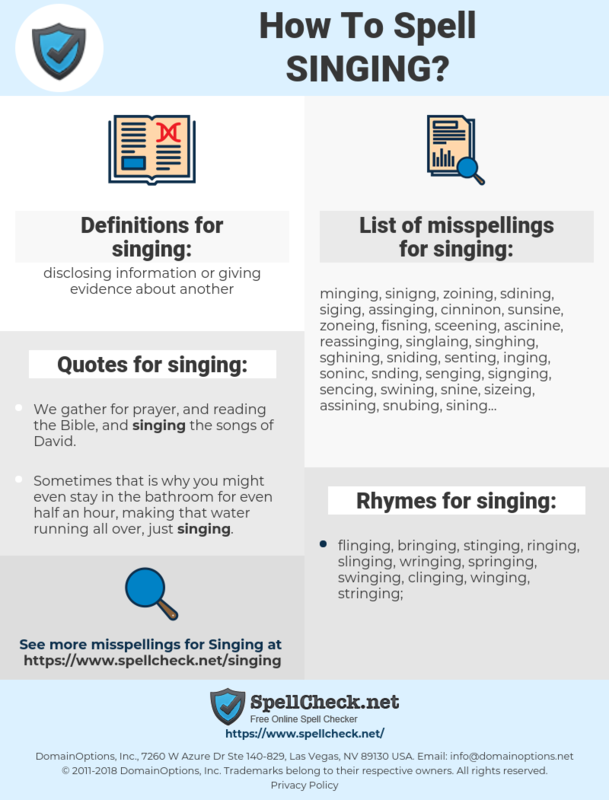 What are the common mistypes for singing? What is the definition of singing? What are the quotes for singing? What are the rhymes for singing? What are the translations for singing? What are the common typos for singing? This graph shows how "singing" have occurred between 1800 and 2008 in a corpus of English books. We gather for prayer, and reading the Bible, and singing the songs of David. If I did any movies I'd have to take a break from singing, because I'd want it to be really good.